After July, October is the second most popular month in the Great Smoky Mountains National Park. It's easy to see why. Temperatures are cooler, sunny days brighter, and best of all, the mountains are ablaze with brilliant color. What's more, the Gatlinburg / Pigeon Forge area hosts activities galore throughout the month, so you'll never lack fun things to do. In late September, the leaves start turning throughout the Tennessee Smokies. By mid-October they're typically at peak color, with vivid displays of bright orange, red, and gold. "Peak time" varies slightly from year to year, and it's earlier at higher elevations. But you're sure to see beautiful hues throughout October. What's more, you can view the whole glorious show from the comfort of your own vehicle. Take a scenic drive along the Roaring Fork Motor Nature Trail, a paved, six-mile, one-lane loop, accessible from the Historic Nature Trail Road in Gatlinburg. Or venture 27 miles southwest of Gatlinburg to the Cades Cove Loop Road, a paved one-lane route that winds through 11 miles of breathtaking autumn scenery. Both roads give you access to popular hiking trails, for a more intimate look at fall color. Don't care to drive? Try the trolley! 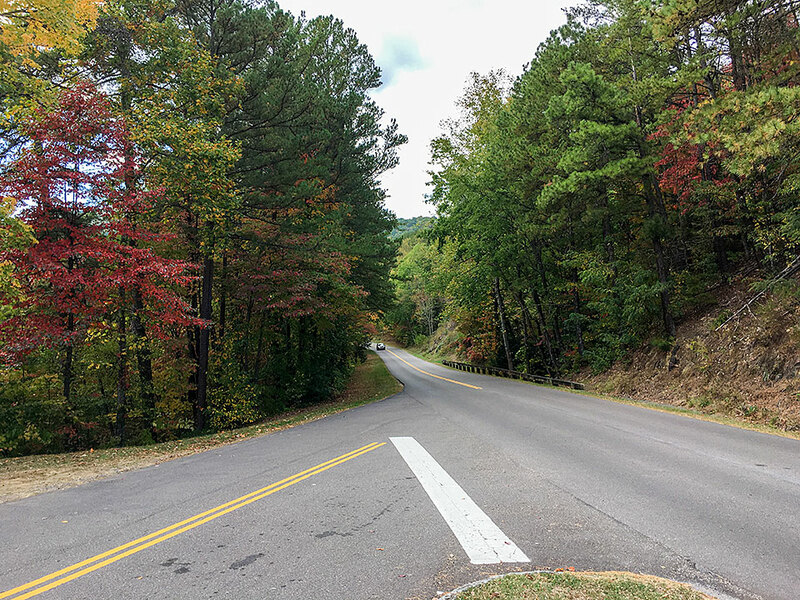 Choose from several round-trip options, including the popular Tan route, running from Gatlinburg to the Park's Elkmont Campground and back – with gorgeous fall foliage all along the way. Leap peeping is just the beginning. From October 6-23, 2016, the Gatlinburg Convention Center hosts the 41st Annual Fall Craftsmen's Fair, with more than 180 booths showcasing the unique creations of America's finest skilled craftspeople. Go anytime between 10 a.m. and 6 p.m. daily (till 5 on Sundays). Stroll through the fair, watch craftspeople demonstrating their crafts, purchase one-of-a-kind products, and enjoy rousing music shows - Gospel, bluegrass, and country. Love outdoor fairs? You're in luck. From October 14-16, 2016, Sevierville hosts the Wears Valley Fall Fest, three full days of family fun amid stunning mountain scenery. From crafts booths to tractor pulls to pumpkin painting and much more, there's plenty to do and see. Don't miss the foot-stompin' live entertainment or the mouthwatering food, from steak-on-a-stick (a festival favorite) to kettle corn and BBQ, plus Greek and Italian specialties. 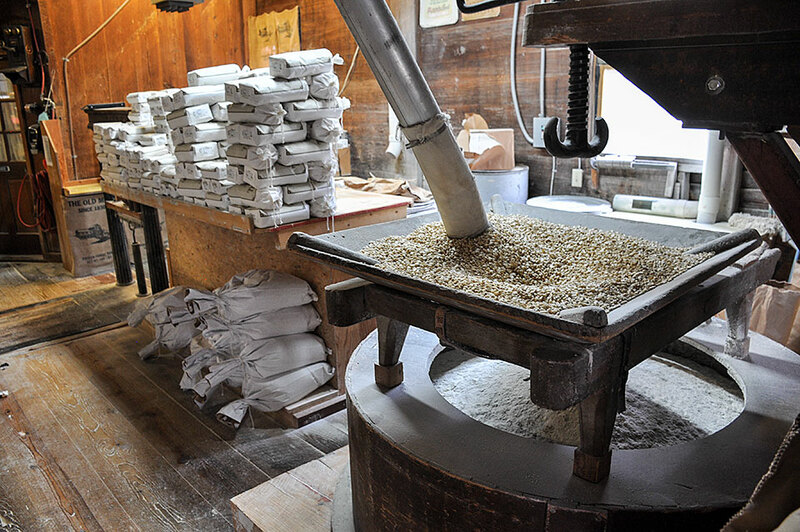 If you've never seen an old-fashioned grist mill, you're in for a treat. Right in the heart of Pigeon Forge, the Old Mill (built 1830) still grinds every day. Watch the giant water wheel as it powers the mill, see potters and artisans at work, visit an authentic general store, check out a candy kitchen and creamery, and dine on delicious Southern cuisine - all in one historic riverfront area. Nothing says "fall" like crisp, crunchy apples. At Sevierville's Apple Barn Cider Mill & General Store (built c. 1910), you'll find a flourishing apple orchard with more than 4,000 trees... along with a cider room, pie kitchen, candy factory, and farmhouse restaurant offering scrumptious apple-filled delicacies. You'll find so much to do in the Smokies this fall, from hiking and bicycling to museum hopping and wildlife watching. Best of all, you can end every fun-filled day in a homey mountain cabin, complete with cozy amenities like hot tub and fireplace. Contact Volunteer Cabin Rentals now to book your October getaway.